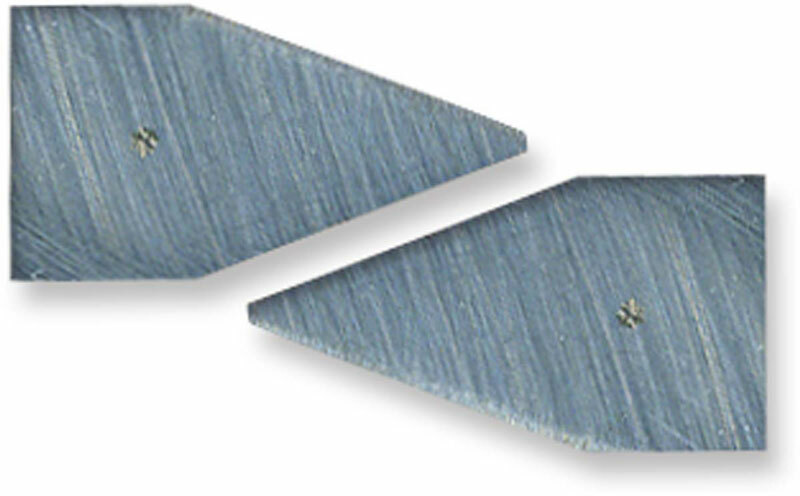 The AccuSharp Replacement Blade Set is a spare or replacement set of two diamond honed tungsten carbide sharpening blades, designed to fit all AccuSharp products, with the exception of the ShearSharp. Proudly made in the USA. Please note: the AccuSharp Replacement Blade Set does not fit the ShearSharp. Replacement Blade Set Only, AccuSharp Knife and Tool Sharpener, GardenSharp and SturdyMount Sharpeners are available; sold separately. THESE ARE THE ONLY WAY TO RESTORE YOUR "ACCU-SHARP" TOOL, TO IT'S ORIGINAL GLORY !!! ONCE YOU HAVE SEVERELY DULLED BOTH SIDES OF THE OEM BLADES, SIMPLY REMOVE THE SIDE PLATE SCREWS & OPEN THE HANDLE HALVES. DUMP OUT THE DULL BLADES & INSTALL THE NEW ONES. REPLACE THE HANDLE SIDE PLATES, INSTALL THE SCREWS, & SNUG DOWN TO A MODERATE AMOUNT OF TORQUE---BAM !!!! TIME TO ROCK & ROLL ON SOME DULL BLADES------OOORAH & SEMPER FIDELIS.